The superior big bungalow has possibilites to fit in 8 people. The bungalow consists of 3 double beds and two single beds. It has a large living room area with comfortable sofa’s and an entertainment set containing a flatscreen TV, a 4 terrabite database of movies, series, music and such. 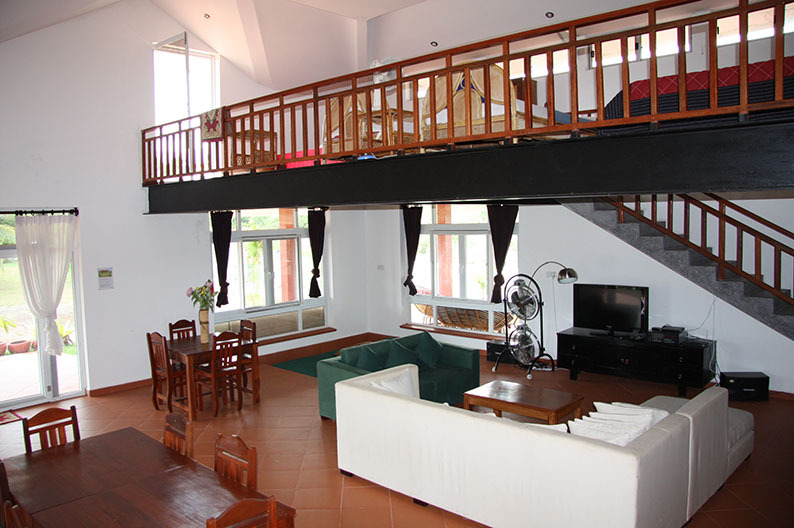 The interior contains two bathrooms, a furnished kitchen, a large dining table, a balcony and several outside terraces. There is a safe available for your personal belongings and free Wifi to access the internet. The bungalow is a perfect getaway place to spend time together with your family or friends.